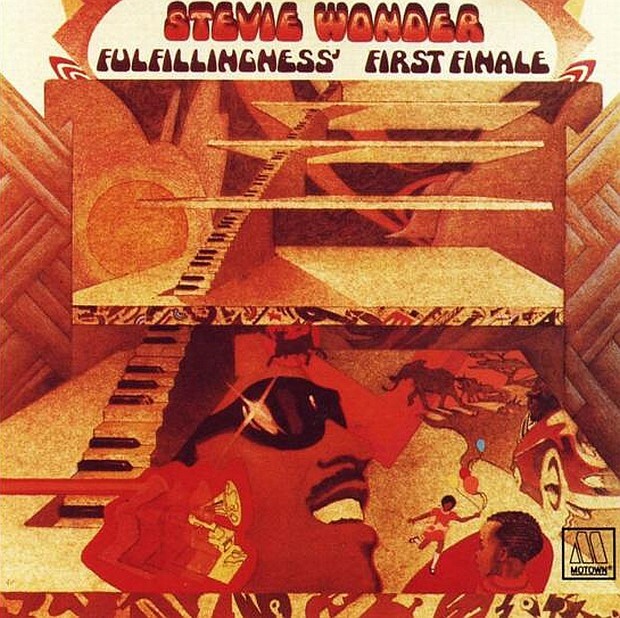 Universal Harmony, Unrequited Love / Stevie Wonder's "Creepin"
"The compelling melancholy of songs like "Creepin'" helped earn Stevie Wonder's Fulfillingness' First Finale win Album of the Year at the 1975 Grammy Awards." Music is the vernacular that can describe all human conditions. There are emotions that every person may come to feel in their lives, despite the barriers of language and environment. There’re experiences that nobody is immune from, like… UNREQUITED LOVE. The plight of those who yearn for another and don’t receive the same from their object of affection is agonizing and not easily met with empathy. When you’re in love with someone and you’re the only one who knows it, all you have is your imagination, which tends to run wild – ranging from fantastical to masochistic. Stevie Wonder’s “Creepin’” is an appropriate expression of such a feeling. When “Creepin’” was recorded in 1974, Stevie Wonder had emerged from a near fatal car crash that put him face to face with his cryptic premonitions of an early demise. The mood of its album, Fulfillness’ First Finale, is not as joyous as Signed, Sealed, Delivered or as incendiary as Innervisions, but contains dragging melodies, ominous instrumentation and deliberately fatigued singing. “Creepin’” embodied Stevie’s state of mind of that time: Happy to be alive, but drained from a physically and spiritually rigorous episode. Such can be the state of mind of someone in love with another and unsure of the chance of getting reciprocity.